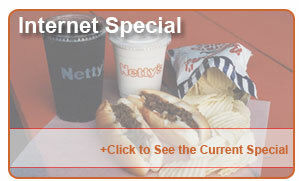 Netty's is a Toledo, Ohio area tradition. We have served ice cream and chilidogs since 1978. 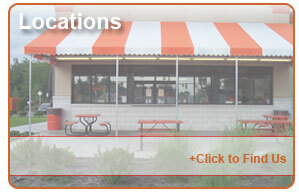 It is a seasonal business open March through October, and offers walkup service as well as a drive through window. There are currently six Netty's in the Toledo area and one in Marblehead, OH. Netty's began as a post retirement business for a former restaurateur. Al Netterfield wanted a business that he and his wife Marcy could operate in the summer and then escape to Florida for the winter. Al found an old family recipe for chilidogs and added ice cream and rootbeer to the menu. They opened their first store in 1978 in one of the old carryout restaurant buildings that Al still owned. Al and Marcy applied the same operating procedures to their retirement business as they did to their multiunit fish and chips restaurants. This, combined with the chilidogs, led to immediate success for the new Netty's store. Six more stores have opened since then and system sales continue to grow. This is a fun and exciting time for Netty's Franchise Corporation. We look forward to continued expansion throughout Toledo and beyond. We will always maintain the quality and service our customers have come to expect. Stop by and visit any of our stores!! !